Solution: Mobile expert has found very easy way to repair backlight. 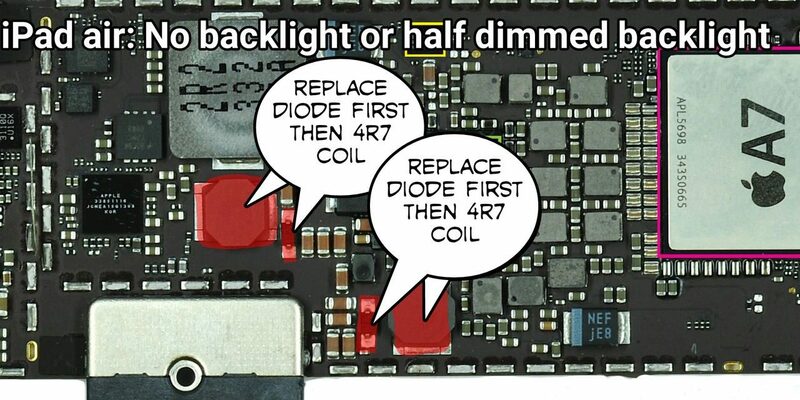 Just follow that picture and replace backlight diode, filter. iPad Repairs: if you are in Brisbane or anywhere in Australia. We can help to repair and if you have question you are most welcome to contact us. iPhone repairs: We also repairs iPhone screen iPhone backlight issue Touch ic water damaged repairs in Brisbane. Please click button in Bellow and book your devices.